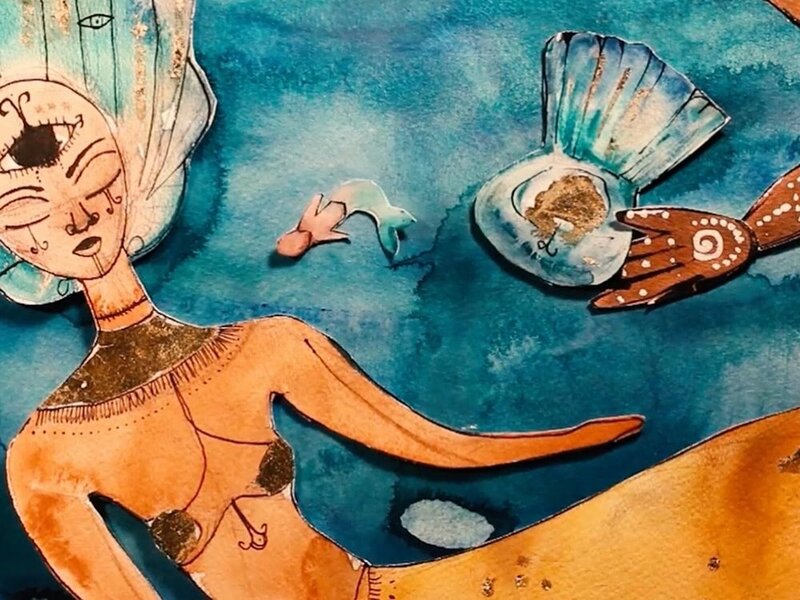 Through living ritual and stop motion animation, The Water Will Carry Us Home tells the story of stolen Africans who are thrown off a slave ship whilst sailing through the Middle Passage. Upon falling into the sea, the unimaginable happens when mermaids, who dwell in these waters, save their spirits. 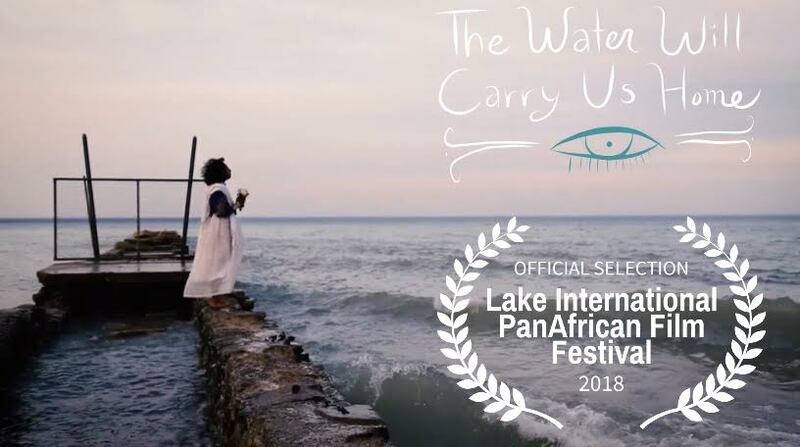 The Water Will Carry Us Home has been booked to screen at universities, festivals, retreats, collectives and more since its release. The film has inspired conversations ranging from African Diaspora, cultural identity, spirituality, engaging with many communities. 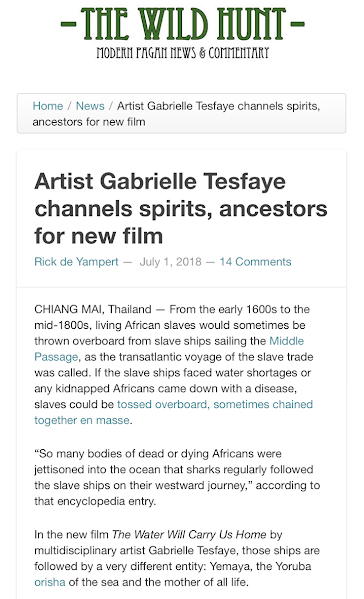 Contact Gabrielle Tesfaye for a public or private screening followed by a Q & A, workshop or other desired ideas. Email: tesfayetra@gmail.com for inquiries. 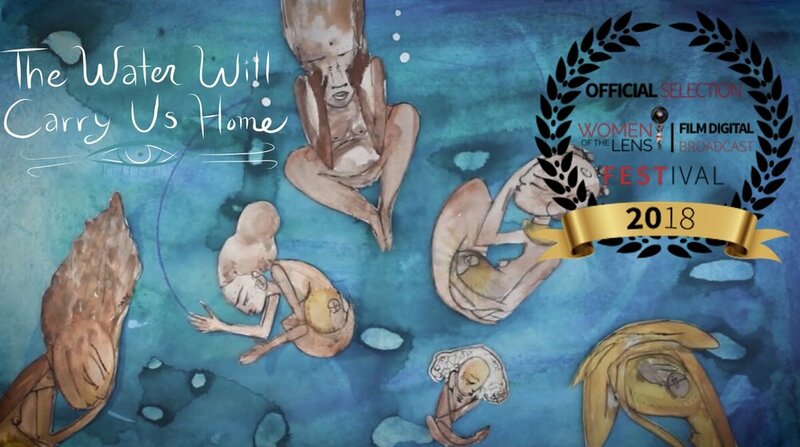 The Water Will Carry Us Home is a hybrid short, consisting of live action footage and stop motion animation. 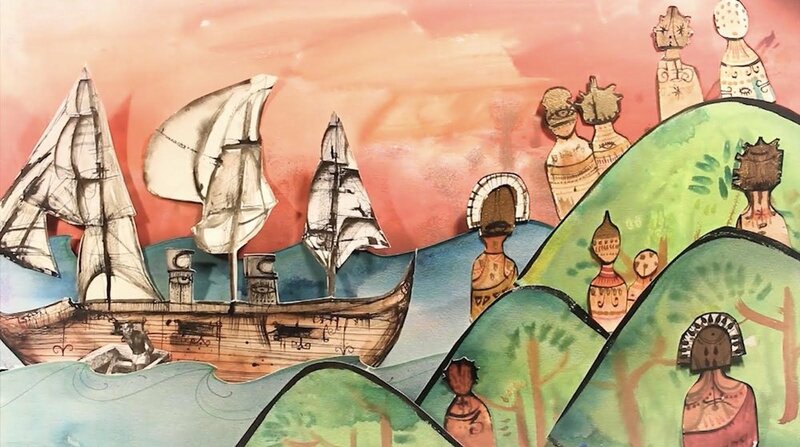 The story is based upon the journey of the slave ships traveling the oceans in the Transatlantic Slave Trade. 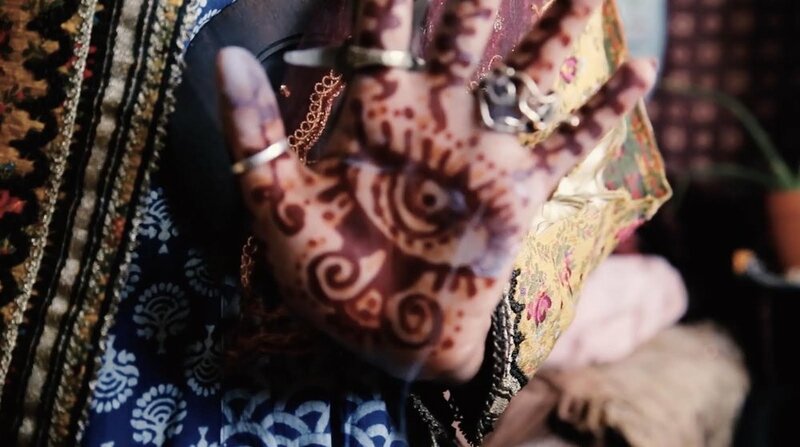 Unlike the literal telling of the history as a documentary would, the film instead expresses the emotion, and the trauma through the event of migration and separation. 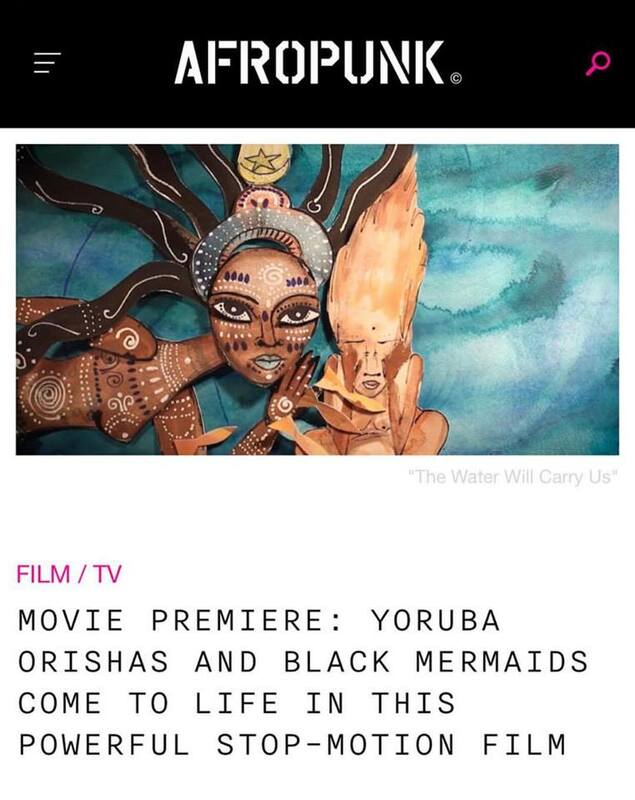 History and African spiritual forces cross paths in the film when the stolen Africans are thrown off a slave ship whilst sailing through the Middle Passage, and saved by African water deities upon crashing into the waves. 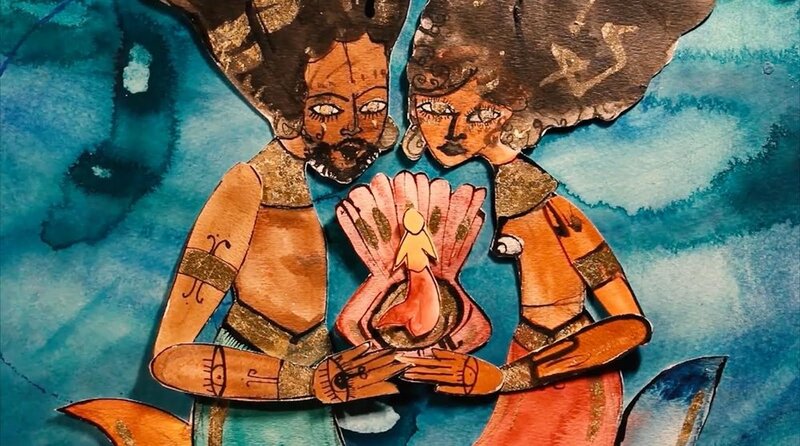 I chose to combine my painted puppets in stop motion and live ritual footage, to make it relatable, and show the magical workings of the spirit realm and past through the animation. 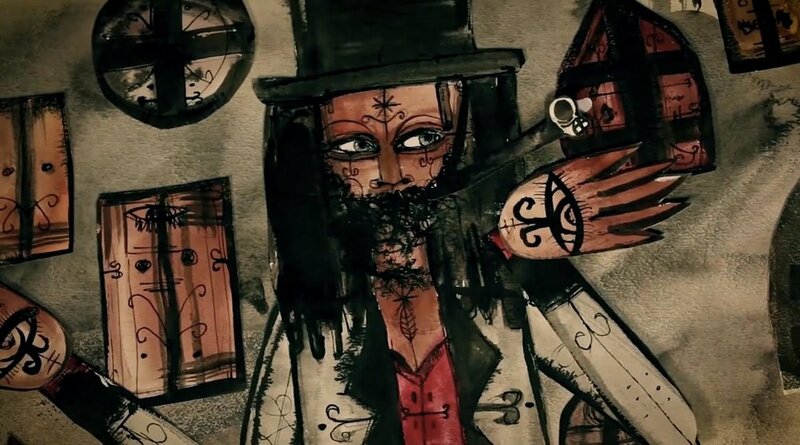 The film is animated with cut out, paper puppets made with watercolour, outlined in ink. With no script, the story is carried only with sound and visuals, unveiled between transitions of the animation realm, and current day. My hope for this film is that it tenderly touches all hearts within the African Diaspora, and a remembrance that even in our heaviest pain, we have never been alone.